Chapeau Gueuze by brewery De Troch is a quite dark gueuze be..
Guldenberg is a dark blond color and a unique flavor which h..
Keyte Tripel is a blond top fermentation beer, re-fermented .. Discover its smooth and rich froth and taste its fragrant no..
La Corne Blonde is a blond top fermentation beer by Brewery ..
Antigoon is a golden beer with a creamy head of fine bubbles.. 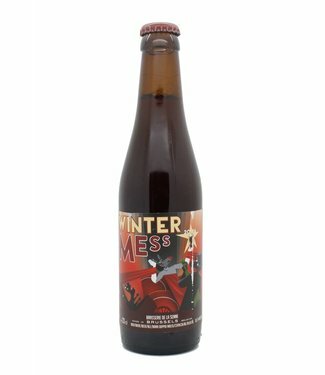 The aroma of this abbey beer reveals traces of malt, chaff a..
Gentse Gruut Inferno is a delicate ale with an intense flavo..
Gulden Spoor Dubbel is a darkbrown beer with a robust manche..
Winter Mess is a Christmas beer. Fascinating reddish beer, w..
Bastogne Pale Ale is a lager, type IPA. 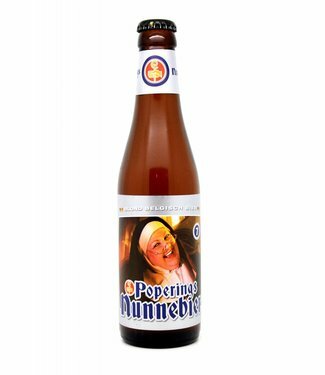 It has a slightly h..
Zinnebir is a beer with a nice golden color and a nice white..